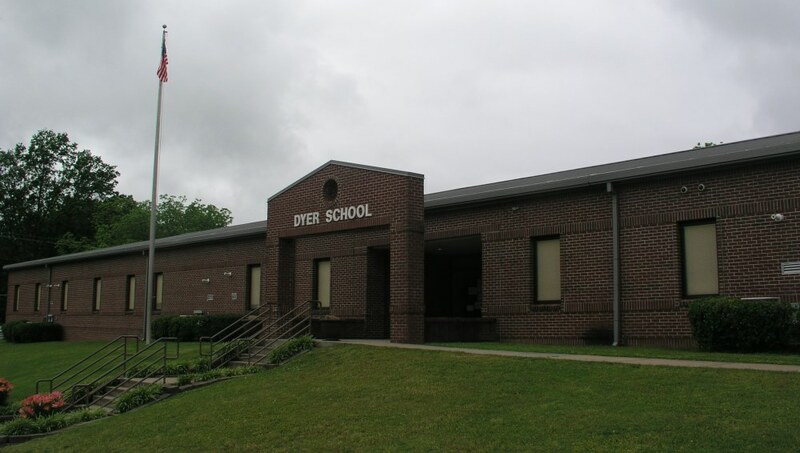 I traveled back to my home town of Dyer, Tennessee to attend the 50th reunion of my high school graduating class. 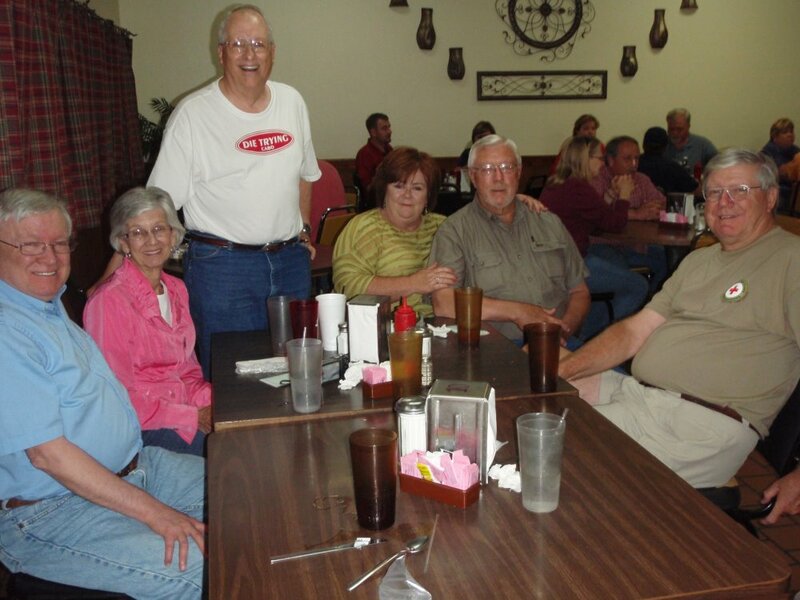 A few of us got together the night before the reunion to enjoy a meal at the "Toot & Tell It" and catch up on old times. 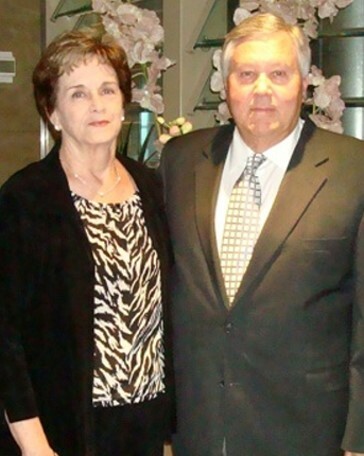 L-R: John Bonds, Patsy Flowers Johnstone, Jim Harrison, Reba and Tommy Finch, and John Taylor. Pam Taylor was nice enough to snap this picture with my camera. 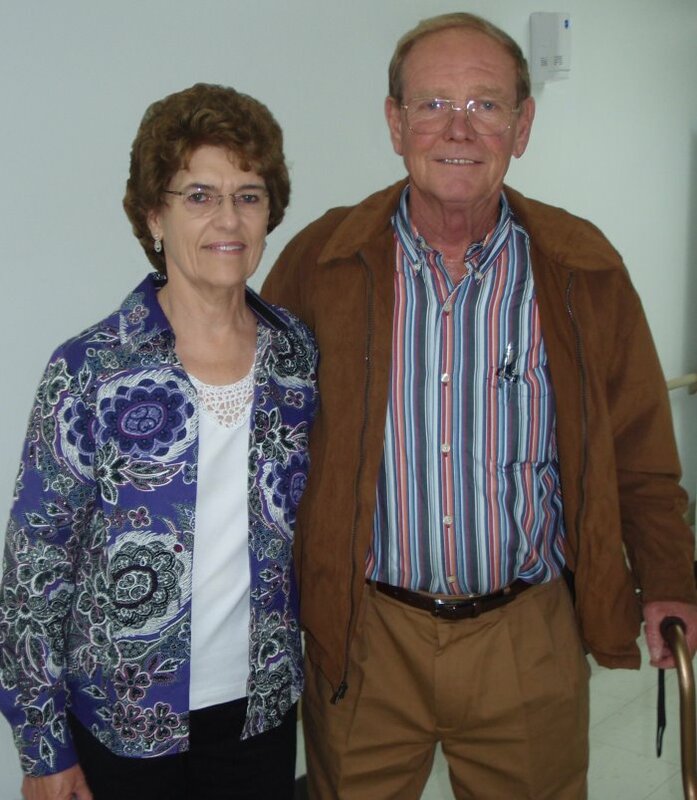 The next day while visiting with my mother at the Dyer Nursing Home, who should also walk in to see her but Buddy Harpole and his wife Diane who was one of my mother's students when she taught at Rutherford. In the afternoon before the party got started, John Taylor had arranged for the old school to be open for us to look around and reminisce. Most of us would have never recognized it from the new entry, but once inside things began to look familiar. 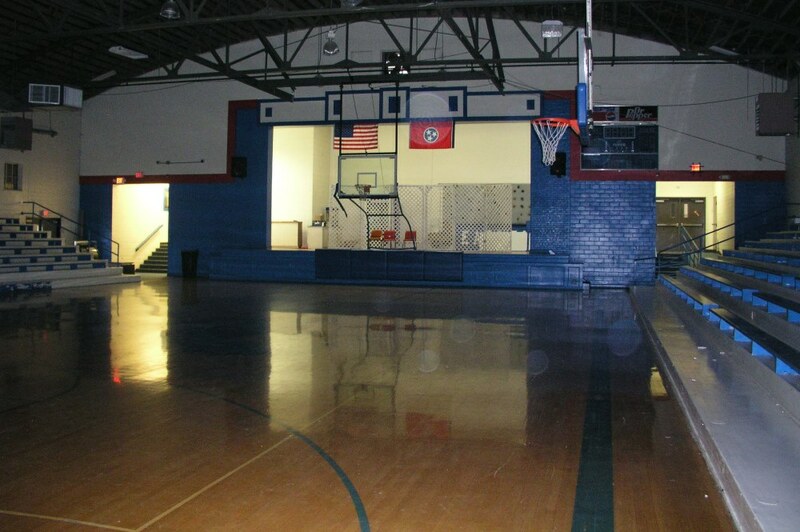 The old gymnasium and stage look much the same as they always did. They have removed the courtside rails from in front of the bleacher seats, but otherwise you could almost hear Coach Russell's whistle and his orders to line up! I tried to get in for a picture of the old library/study hall, but it was locked. I guess Miss Katy Lee didn't want us disturbing things! 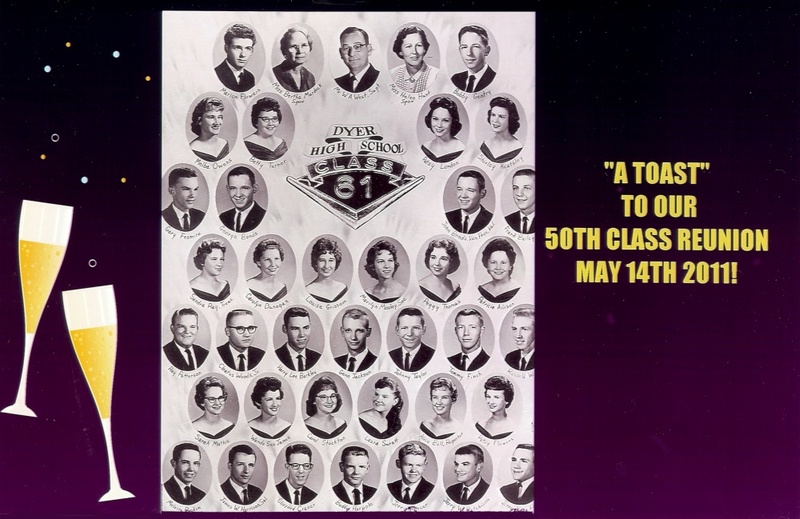 This copy of the original 1961 graduating class picture was given to each one attending. Gosh we were a good looking bunch! If you can't read the names, just roll your mouse over the picture. 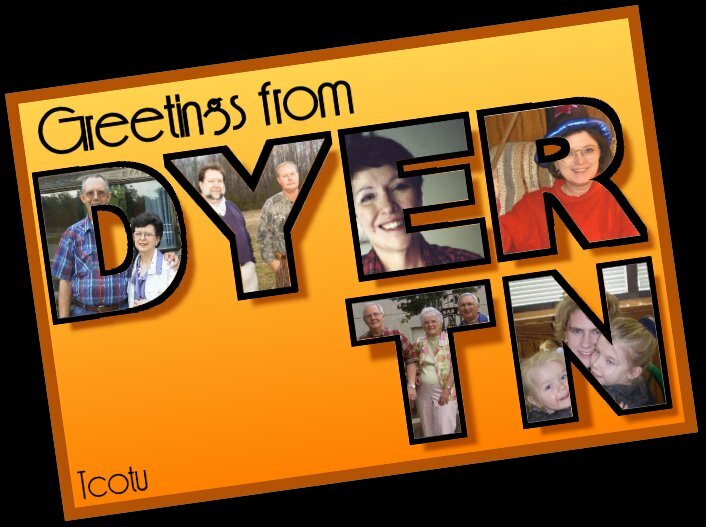 Picture courtesy of Reba Finch. And by the way, to get a plug in, all the DHS graduating class pictures can be viewed here with both a name and a year index. 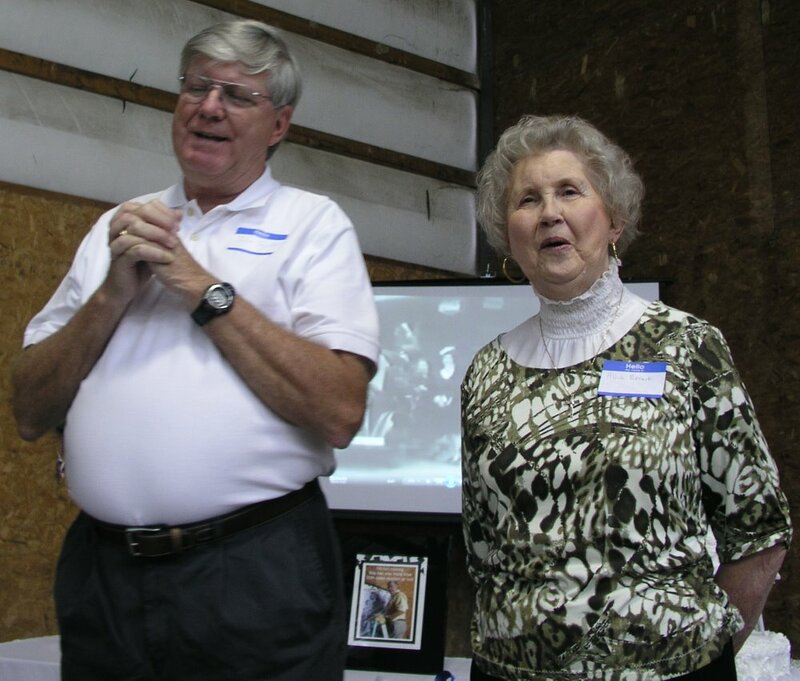 After a welcome by our hosts Reba and Tommy Finch, John Taylor got things off to a start by introducing Mrs. Alice Brewer Ernest to the crowd. On behalf of the class he thanked her for all the great things she and our other teachers did to give us a good start in life. Well it looks like "us guys" have aged gracefully! I caught John Bonds, Jimmy Meadows, Frank Bailey, Melvin Pipkin, and Russell Watt for a picture. I believe the girls have handled this age thing even better though! 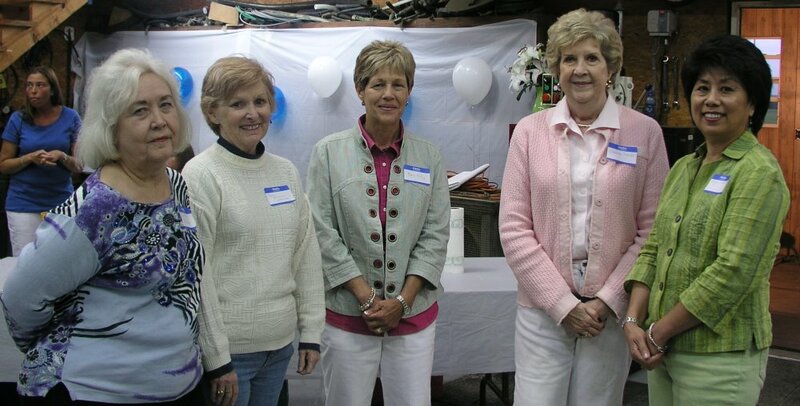 L-R: Alice Ball McCutcheon, Carol Stockton Mannon, Karen (Mrs. Frank) Bailey, Sandra (Mrs. George) Bonds, Angie (Mrs. Jim) Harrison. Reba Finch also provided this photo of the class together one more time. Roll your mouse over the picture for IDs. Full sized versions of this and many other pictures are available on my flicker pages. Seated, left to right: Louise Grissom Flowers, Patsy Flowers Johnstone, Sarah Mathis Jacobs, Shirley Keathley Pipkin, Carol Stockton Mannon, Alice Ball McCutcheon, Wanda James Wright, Phillip Anglin. First row standing: Carl Hanks, Janet Oliver Thompson, Melba Owens Gilmore, Carolyn Dunagan Copeland, Harry Lee Barkley, Alfred Knox "Buddy" Harpole, Frank Bailey, Richard Owens, John Bonds, Patsy London Reed, Jerry Mercer. Back row: Marion Flowers, Cleatus Woods, Gary Fesmire, Jimmy Meadows, Jimmie Harrison, Russell Watt, Johnny Taylor, Melvin Pipkin, Tommy Finch. 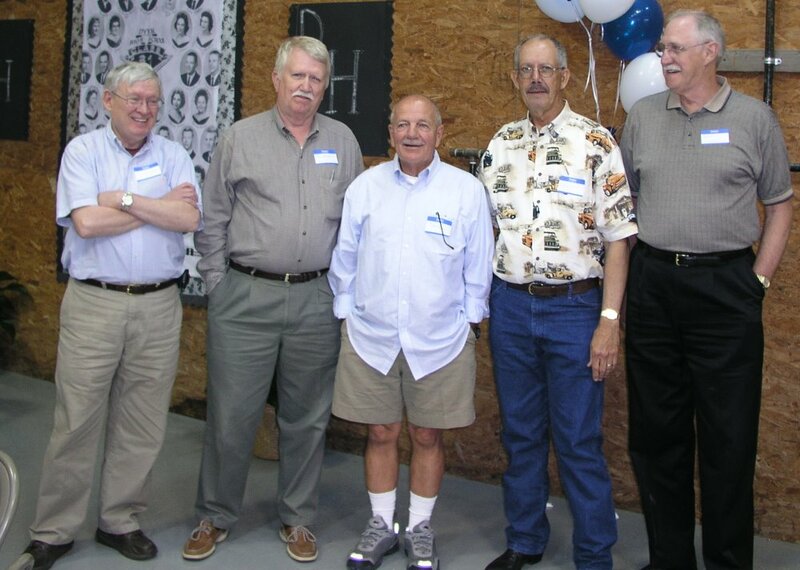 After the reunion was over I heard from several people who had been in our class over the years and were unable to attend. 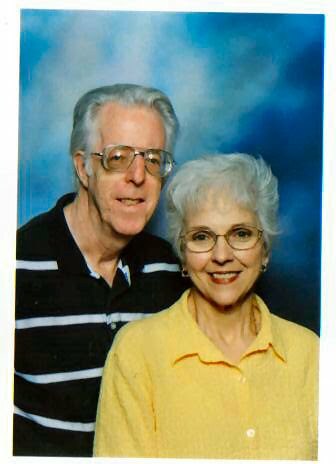 At least two sent pictures of themselves and their spouse. If you didn't make it so that we could see you in person and could spare a picture, please send it along to me and I'll post it. Just click on my name at the bottom left corner of this page to email me. I and all your old friends would love to see how you're looking today! More pictures of people at the reunion are included on my flickr pages as are the originals of those shown here.